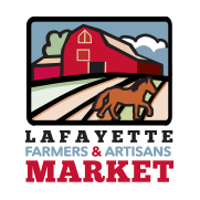 The Lafayette Farmers and Artisans Market, Inc. (LFAM) provides access to affordable food and health education by serving as a premier venue for seasonal, farm-based products and artisanal creations offered by local producers. Located at Moncus Park at the Horse Farm, LFAM is a regional hub of interactive cultural and educational activity with programs ranging from cooking classes and gardening workshops to heritage events, environmental stewardship lessons, and traditional craft demonstrations. LFAM provides an arena in which farmers, gardeners, nutritionists, physicians, yoga instructors, chefs, cultural leaders, artists, consumers, and others can build collaborative relationships, thereby empowering locals to improve health outcomes and fostering a strong sense of community.